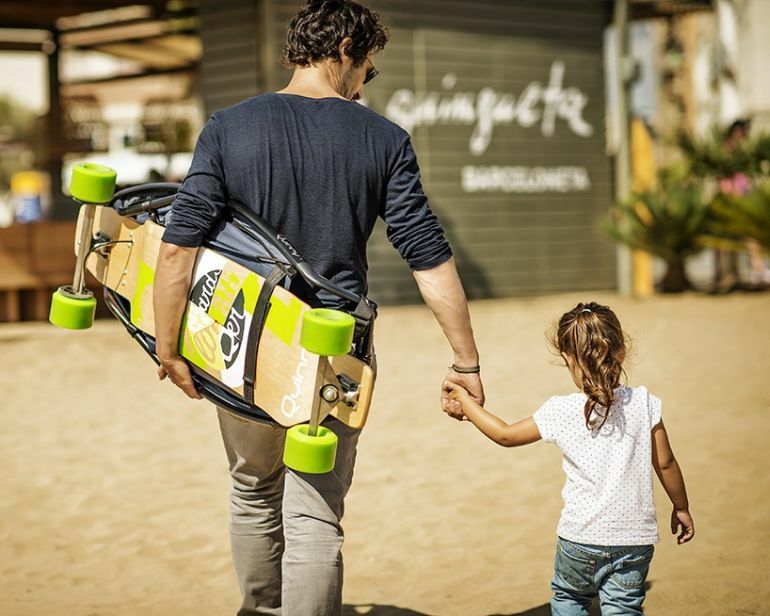 Combine urban mobility and parental requirements, and you possibly get the solution of the ‘Longboardstroller’. 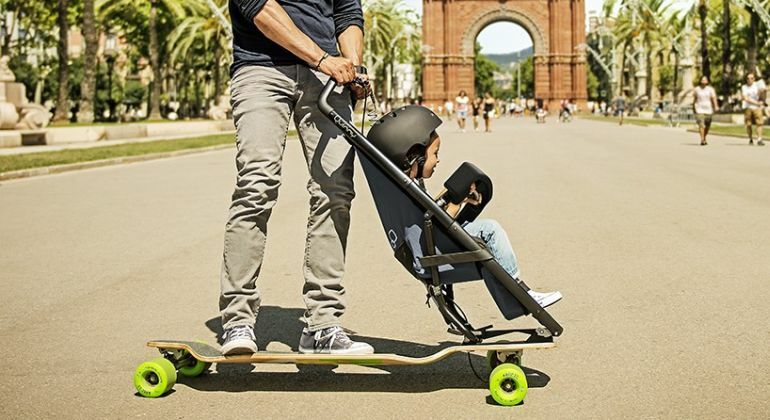 As one can make out from the above image, the Longboardstroller (from Quinny) is envisioned as a nifty transportation module that zips (or at least jaunts) through the busy city streets. And the good news is, while the contraption had originally started out as just another ‘cute’ concept, the product has actually made its way to the commercial realm by incorporating many safety features. In apparent terms, the advantage of such a mechanism is pretty evident. 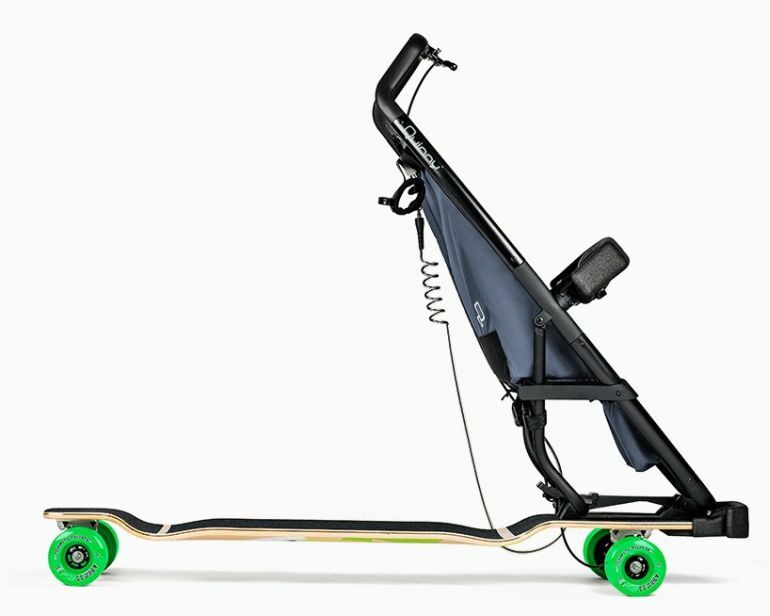 The Longboardstroller eschews the apparent ‘slowness’ of regular strollers. Instead it can potentially offer a fun experience to the adult parent, who is assumed to have some expertise in longboarding. Simply put, it functions as a baby stroller, but with the accompanying speed factor. Now of course, since we are using speed and baby in the same sentence, the question of safety comes into focus. 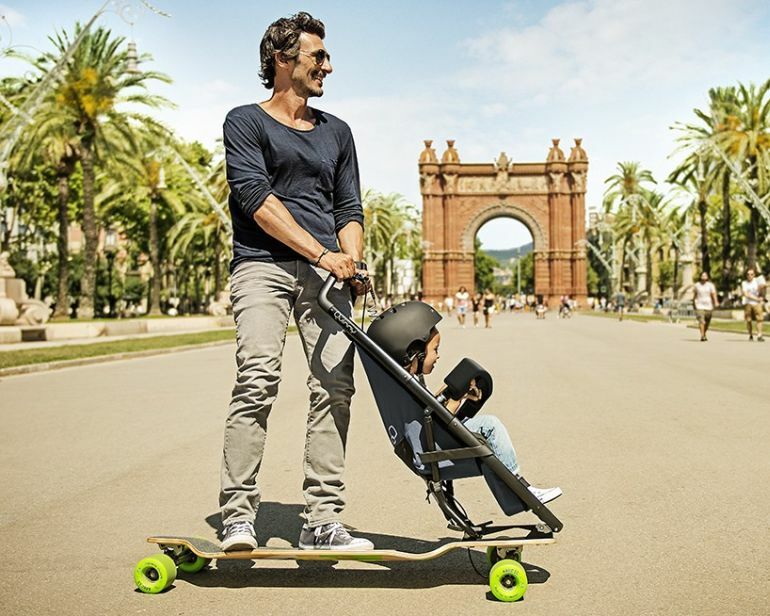 To that end, the designers of the Longboardstroller have integrated a slew of features that strengthen the structural integrity of the stroller, with the primary modification being related to the high-quality material used for the mechanism. 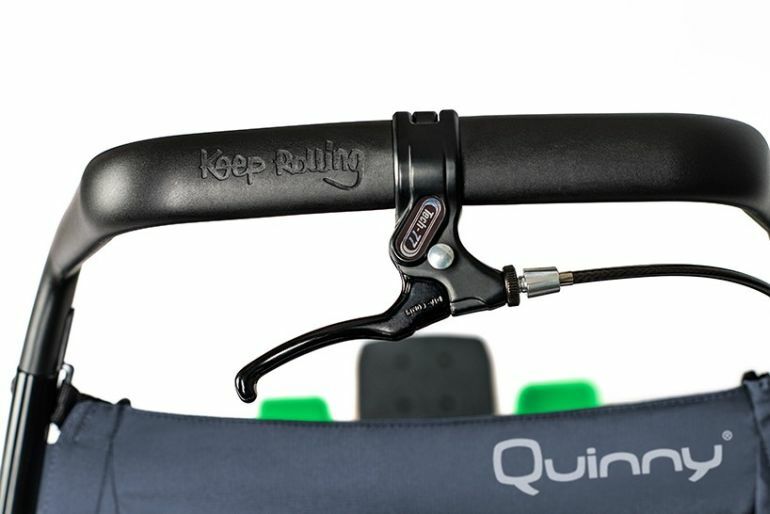 This is complemented by a few additions like the padded bumper bar and an ergonomic handbrake system for quick controls. Lastly, as we talked about the commercial debut of Quinny’s Longboardstroller, the speedy stroller will only be available in what the company designates as European Community. 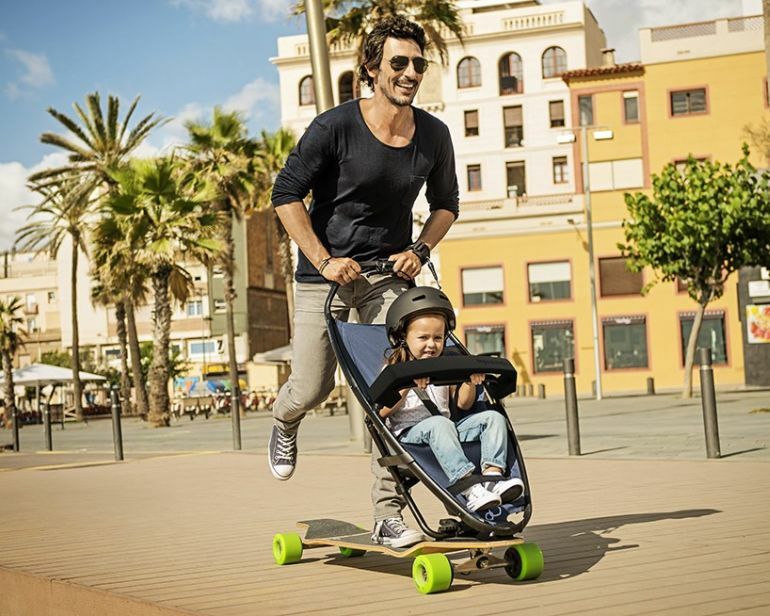 So, in case you are interested, each Longboardstroller will set you back by €599 (excluding local import duties and shipping costs). For more info, take a gander at the retail website.